In 2010, Making A Mark featured an insanely talented artistic person every Sunday, but it's just not keeping up with all the great illustrators I'm running into! So kicking off into 2011, Making A Mark will still be a regular Sunday brag spot, but don't be suprised if you see a few more editions slip in during the week. Alisson has a more refined take on this image as the 'final' version, but it takes away the shade from her face and looses the energy of those brush-strokes. 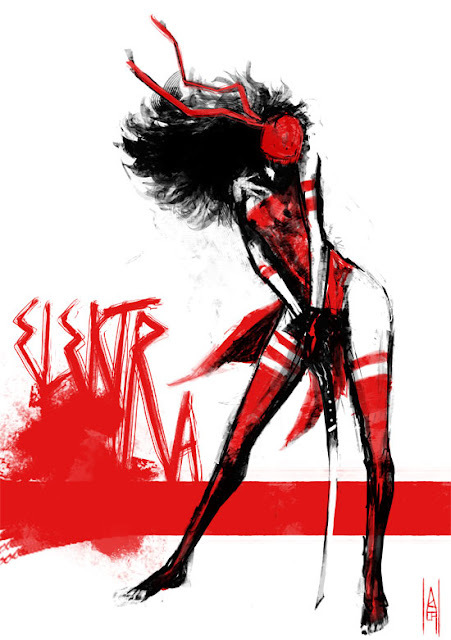 Elektra should never be tame! 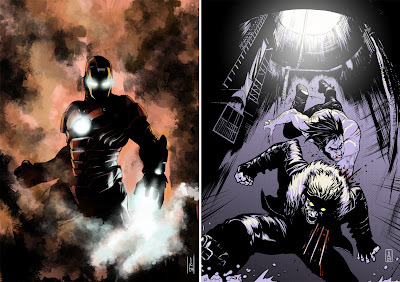 Iron Man's gauntlet steals the show as the armoured avenger powers up, and using an original light source and angle freshens up the classic Wolverine vs. Sabretooth throw-down. Now that is class! To check out the rest of his gallery, visit Alisson either here, or right here on Blogger! absolutely stunning stuff. Where do you dig this stuff up? Forget it, I don't want to know. I want that excuse to keep coming back. well this guy certainly does have a very distinctive style to his work. very dramatic with almost an old school impressionistic visual impact. 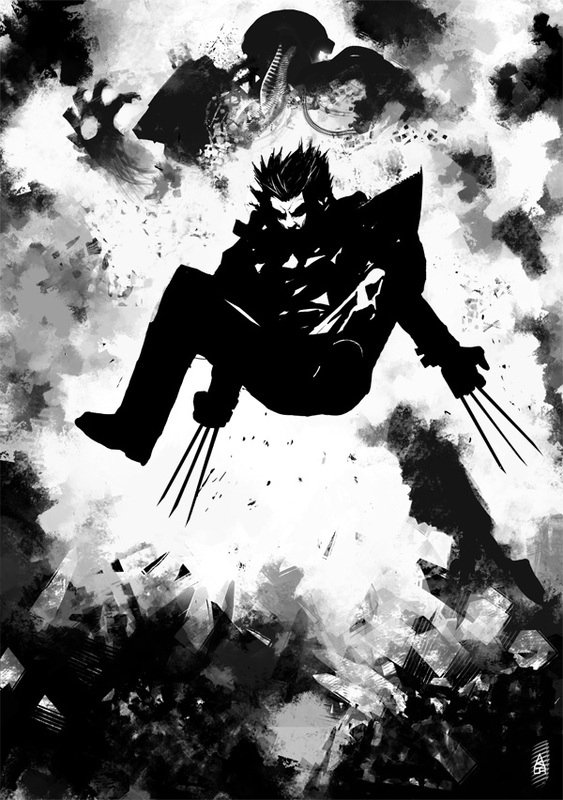 kinda reminds me of Bill Sinkevitch (pretty sure i spelled his last name wrong). good find Dan. Thanks guys! Craig I was gonna say too but after that last line I think I better keep it to myself. Glad you both liked Alisson's work! by the way Dan i like how you made a point of letting people know the artist is a guy. understandable given that his name is Alisson. trying to think how that's supposed to be pronounced. I caught that to Dave. Almost too late. I'd started to type my response when I saw it. Yeah guys the name caught me off guard to - luckily on his blog there was a mugshot which helped clear things up. That's something I'd hate to get wrong! WOW, thank you very much Dan, and all the people who liked my work too. ps. : yeah, my name out of Brazil causes so much trouble, I must begin to use a nick, kkk. Hey Alisson - awesome to have you stopping in and even better that you like what you found! You do great stuff man, and it's always great to post your art on IADW. Would you be keen on an interview?